Thank you for your interest in The Ghosts In Our Machine. and how you can use the film and website as part of your animal advocacy toolkit. Email Ghosts Media for general inquiries. Email LizMars Productions for inquiries about Community Screenings. Completion Day. 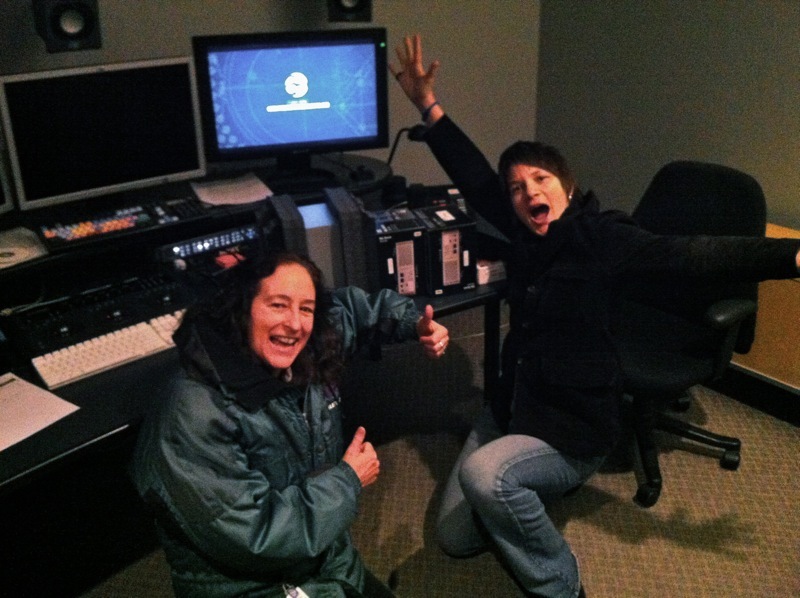 Here we are with the mastered film on several hard drives. From left to right: Nina Beveridge, Liz Marshall.